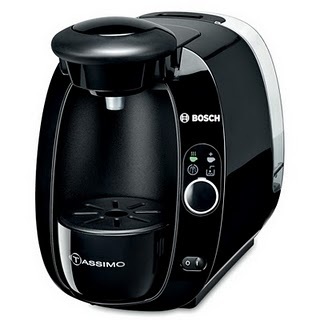 Living the Thrifty Life: Tassimo Coffee Machine Giveaway! This looks like such a neat product! I LOVE coffee, and I would love to win this machine! A blog I love called Maria's Space is hosting a giveaway for this machine! If you want your chance to win, click HERE. I can't love coffee. I drink it at work just to remain conscious in front of my computer, but otherwise I never think about it. But I hope you win. Thank you! Me too!! I have the first ever Tassimo, it's time to replace it. Save my pock $129 if I can win it! !